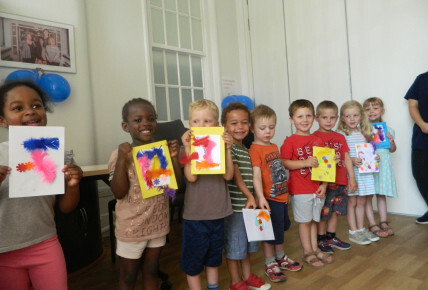 What a lovely morning we had we had been vey busy making cards for the staff of the NHS. 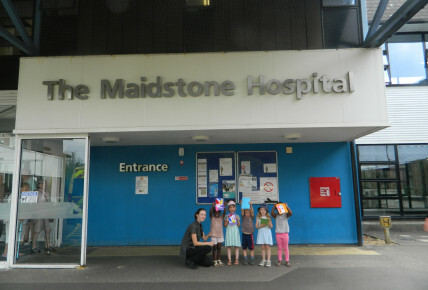 We had been practicing singing Happy Birthday and were ready to going and sing to some of the staff that work at Farm Villa based on the grounds of Maidstone Hospital. 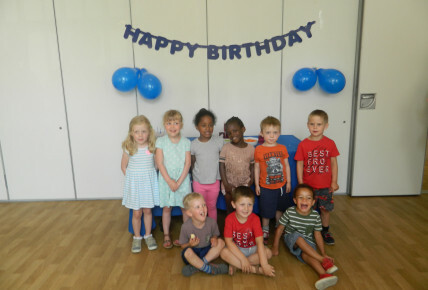 We had to walk around to Farm Villa it was a hot morning but we sang songs whilst walking there, once there we went and stood in front of the staff and sang some of our nursery songs as well as 'Happy Birthday', we then hand out the cards that we had made. 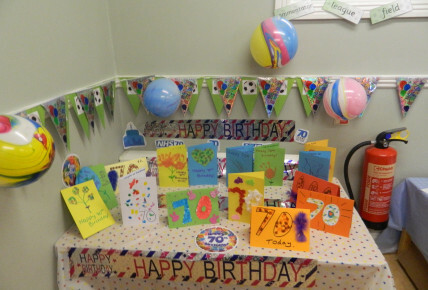 We then went for a walk around the rest of the hospital, we went to the main reception and left a card, we went along to admissions and sang 'Happy Birthday' to some of the nurses working there and gave them a birthday card. 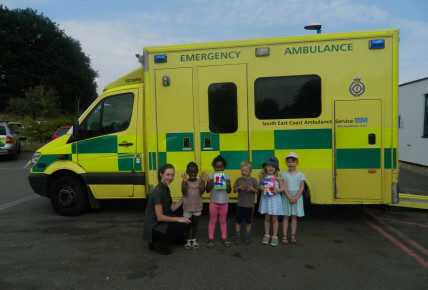 We went into A & E and left some cards there and then as we were coming out there was an ambulance there with 2 paramedics who very kindly let us look on their ambulance and had some pictures taken with us.